Most training in the health and social care sector is linked in some way to government legislation or regulation. 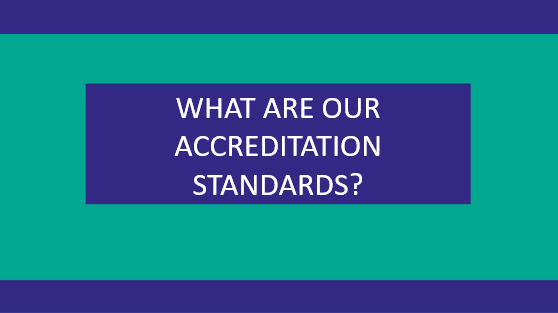 The starting point for the review of any Award or course is ensuring that the relevant legislation and regulations are discussed, as well as any relevant regulatory bodies. It is important that the impact of the legislation and regulation on individual job roles is highlighted in the course materials so that learners are clear as to how it links to them personally. Often, the list of any legislation and regulations relevant to any Award or course can be extensive. However, there will typically be two or three specific pieces of legislation or regulation that will be particularly pertinent. Our Curriculum Team checks that these items are emphasised. For example, there are more than twenty pieces of legislation and regulation that effects safeguarding adults in some way, but not all them will be relevant to the target audience of a particular Award or course. On the other hand, there are ten separate pieces of legislation and regulation relevant to the Safe Handling of Medicines that are all important. The National Occupational Standards are sector-specific standards of the knowledge and skills that workers should have to perform effectively. They are developed by the relevant Sector Skills Council and approved by sector regulators, giving them an official weight. Advantage uses the Standards to ensure that our Awards and centre courses are meeting the skills requirements for the care sector. With any course submitted for approval, pertinent standards are highlighted and mapped to the course content. Skills for Care has developed qualification specifications that training should be linked to so that learners can demonstrate career development. We map Awards and courses against these qualification specifications so that learners get the best possible outcomes and so that all necessary knowledge is incorporated. Skills for Care and Skills for Health also develop additional frameworks to help standardise training and career development in the sector. Examples include the Care Certificate and the Core Skills Training Framework. We map Awards and courses against these frameworks too where relevant. Different sectors and even areas of specific knowledge have expert bodies that produce guidance. Examples include the Resuscitation Council for CPR and first aid, and the National Institute for Health and Care Excellence (NICE). The interaction between these bodies and organisations such as Skills for Care often means that their guidelines, advice and publications on best practice are incorporated into National Occupational Standards or RQF qualifications, but it is nevertheless important that learning materials are mapped accordingly. This helps ensure that Advantage Awards and centre courses are at the cutting edge and include the latest best practice. Are you ready to get your own courses accredited or to use our Advantage Awards? Complete our simple, online application form.